The 2016 Facebook Developer’s Conference, known as F8, is gone and done. But, boy, did they rock it out for marketers this year! There are at least 12 or so fantastic announcements focused on business development during that event in San Francisco. If you’re in the Fearless Social AdLab Live Facebook Group, I gave you a few “bullet point” updates of the first day of the conference. This guide is focused on how some of the technical aspects of the developments announced for programmers will affect marketers in the very near future. Instant Articles are now available to all marketers post-F8 Conference. This type of post helps you with marketing your content to mobile Facebook users. This new tool gives your reader an immersive, full-screen presentation of your content. This content reached the reader (from your website) directly through Facebook. You’ll need a plugin to make your content compatible with Instant Articles. Facebook already has some CMS plugins developed. Already, there are a few third-party plugins available. Without the plugins, you’ll need some coding skills. Facebook developed Instant Articles to keep users on Facebook. But, the benefit is that your content now loads faster and has better mobile interaction. During the presentation, load time was demonstrated a phone in India and one in the US. A 2011 Android phone in India and an iPhone6 phone in the US loaded the same article. The phone in India was on a 2G access network and loaded the Instant Articles post. The phone in the US was on a 4G network and loaded the native mobile website version of the post. The phone in India loaded the article in just over 1.2 second. The iPhone in the US took over 4 minutes to load. 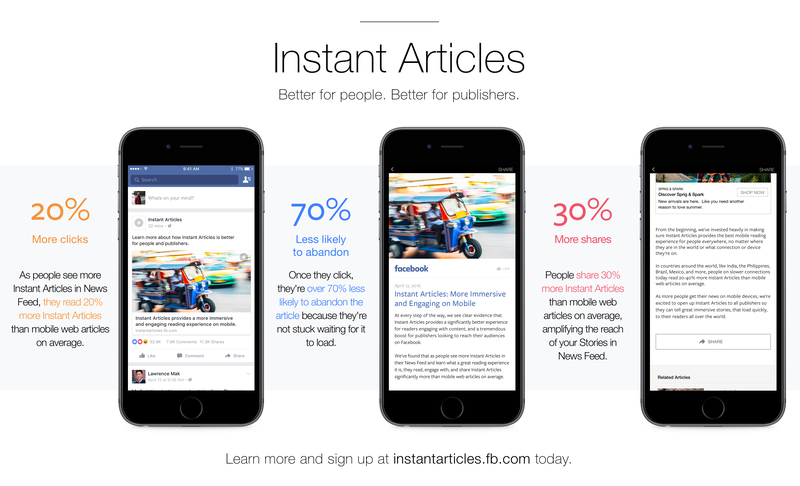 The benefits of Instant Articles is demonstrable. This is why you want to use Instant Articles with your website. With faster load times, you’ll have fewer people clicking out of your content before they even see it. There are some tradeoffs with website analytics. But, the benefit, in my opinion, far outweighs the analytics hit. The AdLabs Guide to Instant Articles ready to be released. You’ll get an introduction to Instant Articles inside. And, you’ll learn everything you need to know to put IA in place in your content marketing. To see if you qualify for Instant Articles, click here. Canvas was not an official F8 announcement. But, it’s timing was well placed to start generating interest in the F8 Conference. For that reason, I include it in this update. Canvas is another mobile marketing tool. 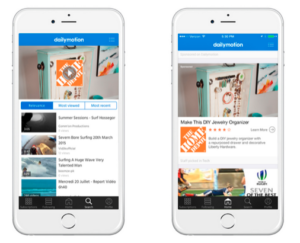 Using the Power Editor, you can create full- screen, fully immersive ads. These ads can include photos, canvas ads, video, and content. This ad will take over the entire screen, much like Instant Articles. It’s interactive, much like Instant Articles. And, it loads fast, much like Instant Articles. A clear focus on the mobile market is evident with these two tools. Facebook appears to be making this their main focus. There is an AdLabs Guide to Facebook Canvas ready to be released. You’ll get an introduction to the tool, and instructions on how to design a Canvas ad. The new Messenger for Business platform will totally revolutionize your customer service. 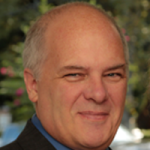 Your customer communications systems should include this new tool. Developers in charge of this platform use much of Facebook’s work in Artificial Intelligence. This new tool is a system of bots that can communicate with your customers in real time. 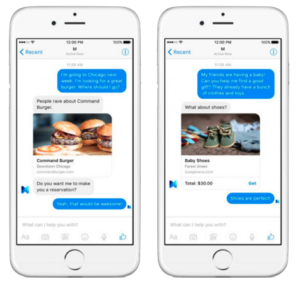 Facebook recommends a combination of bot and live communication. This way, you can impress your clients with how responsive you are to their needs. Imagine having your FAQ programmed as Messenger responses. Your customer opens a chat with your business on Messenger. They ask a question about your hours of operation. Your bot looks like you’re typing the message to them, and then provides your hours. Next, the bot asks them that products or services they’re interested in. A few seconds later, they get a response asking them about their preferences. For instance, questions about size, color, etc. The user then gets a Carousel-type ad in their Messenger with options. From that Carousel, the user can go on and buy the product for delivery to them. There are plenty of other ways you can use this platform, and I’m in the middle of setup and use. I’ll write an AdLabs Guide to Facebook’s Messenger for Business Platform just as soon as I get a grip on its offerings for your business. There was a time before there was a “Login with Facebook” option. Bacj then, users had to remember too much information to login to websites. After the Facebook login management option, you’d simply connect a website with your Facebook. 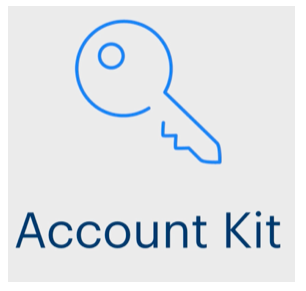 With Account Kit, you can create mobile and desktop login management. Users won’t need a Facebook account. Your user won’t even need a username or a password. A Facebook marketer starts by placing a string of code into your website, or a link on your Facebook Page. Then, when a user registers, they provide their cell phone number. An SMS message goes to the user’s phone number containing an authorization code. That authorization code is then entered into a dialog box. Once completed, access is complete. Account Kit collects information on Facebook data centers. This means that Facebook’s security handles the data. This releases you from some data security responsibilities. The notifications for Account Kit are identical to the Facebook Login system. This provides users with a sense of familiarity with the tool. And, if you need a shared-server component, Account Kit can provide it. Account Kit will provide a short-lived authorization code. This code uses a secure server to server call to accommodate that need. 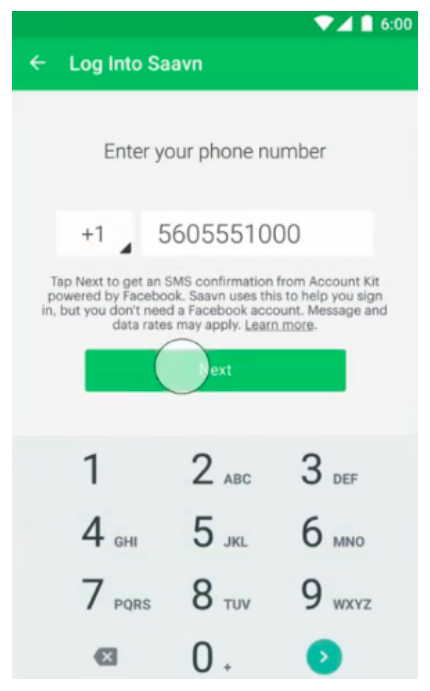 Facebook will provide 100K SMS confirmation messages, per month, free of charge. This gives you the freedom to send Account Kit confirmations to your users. And, if the SMS fails the system is set up to handle backup authorization methods. The Account Kit registration windows can be customized using the free Basic Configuration. Advanced customization is available through the Advanced Configuration. Additionally, customers can store site customization information. Data such as Name, Date of Birth (mm/dd), and product preferences, are stored using the Graph API. We’ll be coming out with an AdLab Guide to Account Kit if enough AdLabbers request it. While you may not think of analytics for apps as a marketer’s tool, you would be terribly mistaken. You can use Facebook apps on your website to take advantage of these upgrades. And, to take advantage of the Account Kit registration tools, you’ll need to set up a Facebook App, as well. The new app analytics helps you better understand how people are using your app. You’ll be able to see data interpreted with many built-in graphs for actions taken by those who use your app. Analytics for Apps is much like the analytics you get for your website. But, with the recent upgrades, you get more information. One can’t help but wonder if these upgrades will be coming out for websites, as well, eventually. Analytics for Apps provides aggregated, anonymous audience insights. You’ll be able to better understand your audience. This will help you build an even more useful Custom Audience for ad targeting. And, Facebook is now beta-testing the ability to use customizable push and in-app notifications. This data collection is driven by the Facebook App Events part of the Facebook SDK. This kit includes 14 pre-defined events to use for the most common actions taken by people in apps. You also custom-define events to use in your app. Facebook continues to compete with Google’s YouTube video platform. In response, the Facebook development team continues to beef up their video analytics reporting. All these will help you analyze and improve your video marketing. You can see how Facebook LIVE is becoming a force to be reckoned with. Combine this metrics reporting with better embedding tools (reported below). 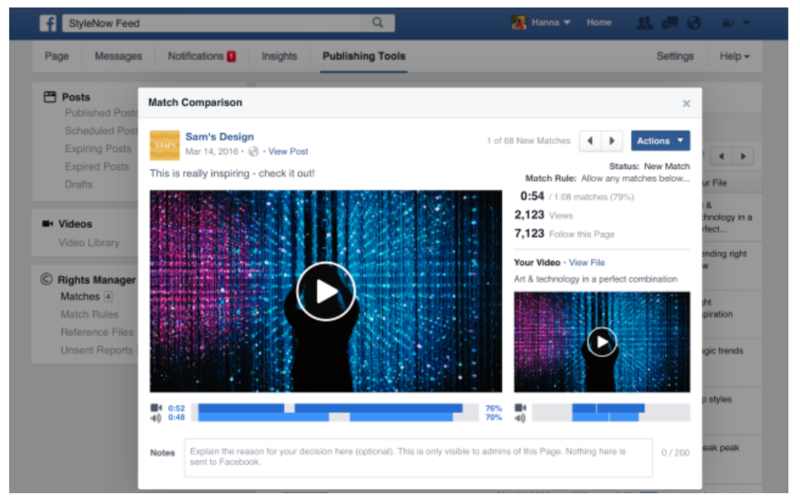 Now, you can see the power of Facebook video in the future. Facebook seems to have gone crazy with upgrades to their embedding tools. To date, here are the recent embed tool upgrades made Facebook. Facebook has let us embed Facebook Posts on websites. But, now, you have more control over the look and feel of the embed. Also, the embed is mobile responsive, so no adjustments are needed to make it fit the page in a mobile browser or app. Finally, the embedded post loads almost twice as fast as the older version of Facebook Post embed. To embed a post, click the down arrow on the top right-hand side of the post. Scroll down to “Embed” and then follow the instructions. Soon, developers will release a new, simple WordPress integration. This tool will integrate the SDK into the site. 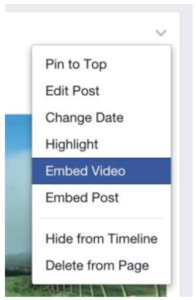 Facebook now has an embed code to insert Live Video into your website. You can use any public video post by a Page or a person as a replay or a live video source. The live video is now embedded. This will change into the video replay after the live broadcast is finished. Just like Embedding Facebook Posts aren’t new, neither are embedded comments from Facebook. But, the tool has been upgraded. You can now embed individual comments from a Page or person into a website or page. 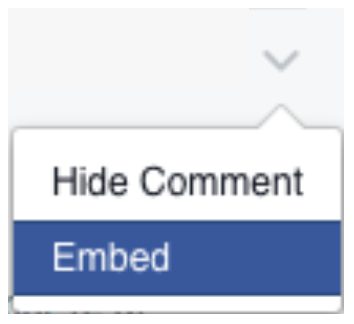 Only public comments from Facebook Pages and profiles will be included in the embed. Facebook’s upgraded the process for including the comment, however. Besides the ability to adjust the width of those comments, the system for doing this is much easier now. Just click on the down arrow in the top right corner of a comment and choose “embed”. The option to save a post was improved this past week, as well. 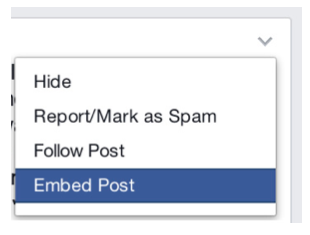 Now, a new “Save” feature has been added, besides saving Facebook posts. 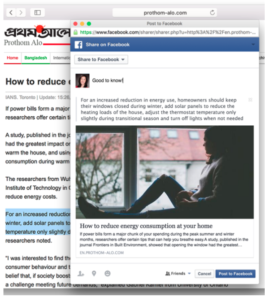 Your readers will be able to save your posts to Facebook. The Facebook Quote Sharing tool allows someone to copy a snipped of text from your site to post on Facebook. Once the text has been hi-lighted, click on the Facebook Share Quote link that appears. When you click on that button, it will bring up a dialog to share the link, highlighting the quote at the top of the post. You can find the locales in the Facebook Locales SML file. After adjusting your locale, you’ll be able to change the width of the Social Plugin. This is done to accommodate different languages. This is possible, but, with some significant coding changes, currently. You’ll also be able to optimize web sharing from a mobile browser. Sharing a post to Facebook from your mobile device used to be confusing. Click on a Facebook “Share” button, get a new screen. Type a comment. Then, confirm the share. Now, you just click “Share” and get an open iframe from which you can share the post. This is created by one single line of code. If you use a third-party tool to share content, you’ll need the developer to update it. At times, you need to manage and moderate the Facebook comments. Especially if you’re using the Comments plugin on your website. At the recent F8 Developer’s Conference, Facebook announced a new CommentsPlugin (v. 2.3) that includes a refreshed Comments Moderation tool. 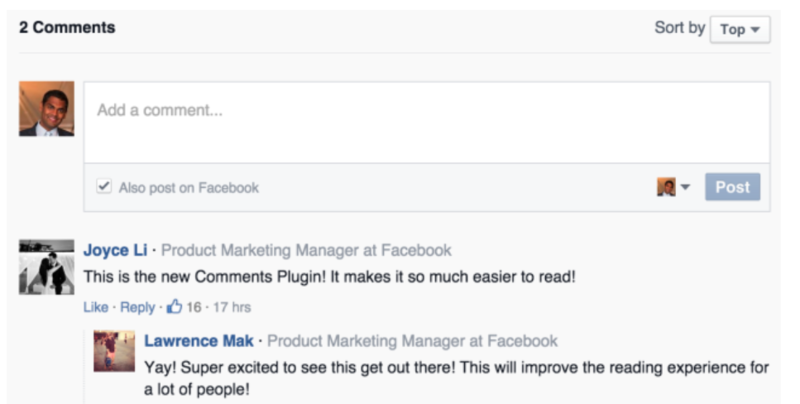 That plugin includes all the Facebook comments to a post below the content on your site. But, who wants spam comments? Not me! This is a new extension of the current code. The extension will close comments after a set date, blacklist words — even partial words. Facebook is also opening up the mirroring feature. This makes comments on a post shared from your Page also post to your blog. And, if any comments are posted on the blog, they’ll appear inside Facebook. This API will allow you to stream video from more than just your smartphone. That’s one of the key selling points of the code set. Already, some camera producers are finding ways to integrate this API into individual cameras. But, it will also allow you to find new ways to interact with your viewers. With Live and Graph APIs, you’ll have access your video’s comments, reactions, and mentions. This information will help you analyze viewer engagement in real time. You’ll also be abel to create on-screen graphics showing live poll results. Finally, you’ll be able to use standalone cameras to broadcast Live video! The Mevo is an unbelievable camera that allows you to select different camera angles to broadcast live from your iPad or iPhone. 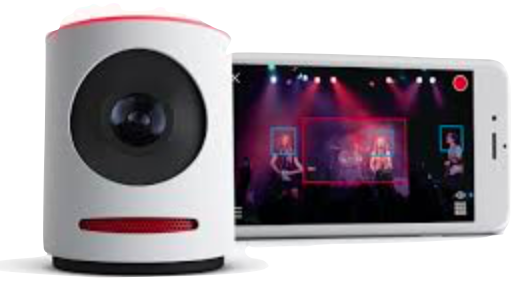 Here’s a demo of what the Mevo can do for your live broadcast. You may like this, and you might not. But, Video Rights Management is coming to Facebook. If you’re a video content producer, you’ll love this. But, if you’ve done a little “freebooting,” then, I can assure you, you are going to hate this! During the 2016 F8 Developer’s Conference, Facebook introduced the Facebook Rights Manager. This tool is a set of administrative and workflow tools. They’re designed to assist in video copyright management and protections, site wide, on Facebook. The tool isn’t openly available just yet. But, content owners and producers can apply for access here. There you have it, 12 areas of improvements and updates from Facebook. 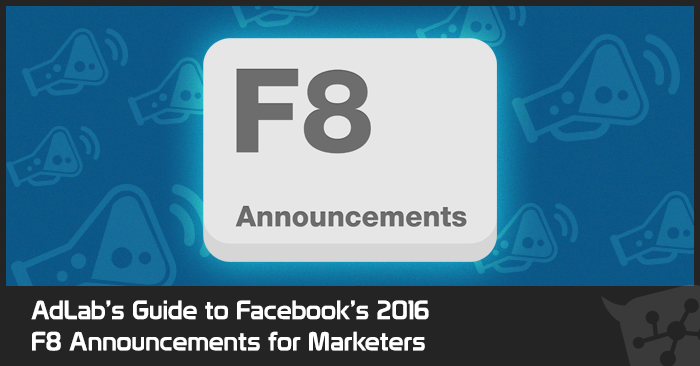 These announcements, made at the 2016 F8 Developer’s Conference are, and will be useful. The advancements will make marketing and reach easier to accomplish. They’ll also be easier to measure, as well. Be on the lookout for more great AdLab Guides based on these upgrades and new announcements later this year. We’ll make sure you’ve got the latest Facebook Ads information available to create better ad campaigns for you or your clients.